Stress management is possible when you use hypnotherapy for stress management at Quays Clinic in North Shields. 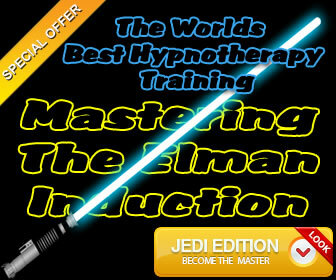 Do a stress test and talk to hypnotist Ian Smith today. Chronic stress can affect anyone at any time and when a person becomes too stressed; their health can become affected as well. Learning how to recognize and treat stress is vital to having a healthy life. Stress is a natural reaction of the body that occurs when a person finds himself or herself in a harmful situation. During this situation, blood pressure rises and the heat beat will quicken. These reactions are known as “fight or flight” reactions. When a person is under too much stress, they will begin to develop a number of different emotional symptoms. People become easily frustrated or agitated. They may also become extremely moody. Stress can cause a person to feel overwhelmed or like they have lost control of a situation. Stress and anxiety can also cause a number of symptoms that resemble depression, such as alienating themselves from co-workers, family, and friends. Being over stressed can also cause a number of physical symptoms. Many people will feel more sluggish and unmotivated. Their health may also go downhill. Dealing with too much stress can make it easier for a person to catch colds or develop infections. A loss of sexual drive can also be caused by stress. Many people who have a high amount of stimulants, like caffeine, find it hard to relieve stress. By removing or lowering the amount of stimulants in the diet, they are more likely to reduce stress levels. It has been proven that a healthy, well balanced diet can also help a person from suffering from stress. While a person cannot always change their environment, they can try to make it more comfortable. If the home is the source of stress, a person could ask family help out with housework. For workplace stress, a person can try to work with their co-workers to make the work process more streamlined and organized. Stress has become a large problem for many people and it is not going away any time soon. While a person can go a long way to reducing their stress levels on their own, sometimes a person may need to seek medical advice. If serious emotional or physical symptoms appear, a person should speak with their doctor or talk to hypnotherapist Ian Smith. Do not suffer from stress symptoms in silence. Seek out some professional help. Another wonderful way to eliminate stress symptoms is to use hypnotherapy for stress management. Hypnotherapist Ian Smith has helped many of his clients to reduce their stress level. If you need to stop feeling stressed out do not put off getting some stress relief. Stress at work and relationship stress can cause serious health problems. If you are looking to find hypnotherapy for stress management look no further than hypnotist Ian Smith at Quays Clinic. You can read some of the fantastic hypnotherapy reviews which have been posted on Google maps by previous stressed out clients who went to Quays Clinic. 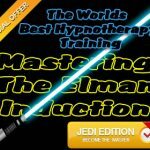 Contact hypnotist Ian Smith today.